Aspire! currently has AmeriCorps service positions open. 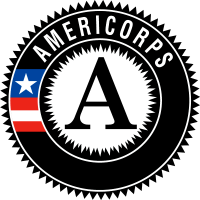 AmeriCorps positions are national service positions. Nationally, AmeriCorps engages more than 75,000 Americans in intensive service each year at nonprofits, schools, public agencies, and community and faith-based groups across the country. Since the program’s founding in 1994, more than 900,000 AmeriCorps members have contributed more than 1.2 billion hours in service across America while tackling pressing problems and mobilizing millions of volunteers for the organizations they serve. Learn more about AmeriCorps . Aspire! 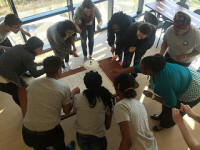 is currently in its tenth year of operating the Learning Links AmeriCorps program, delivering real results for children by providing a critical link across the three main aspects of a child's daily experience: at school, after school, and at home. Ready to Apply? Email your resume and cover letter! Send a cover letter and resume to jobs@aspireafterschool.org with your desired position title in the subject line and please fill out this brief AmeriCorps Application.